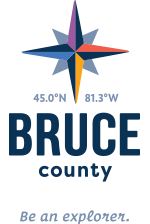 Come join us for time-honoured festivals that celebrate the diversity and distinctness of Bruce County. From cardboard boat races in Georgian Bay to marching along with the Kincardine Scottish Pipe Band to the most spectacular sand castles you will ever see at the Sauble Beach Sandfest. In Febuary on Groundhog Day, no matter the weather, bring your own sunshine and make your way up to Wiarton for the Wiarton Willie Festival. One of the largest winter events in Bruce County, you will have something to do all weekend, plus you will have the first insight to help firm your plans for the spring as Wiarton Willie makes his prediction…will be it be an early spring or six more weeks of winter? Happiness is to maple syrup as Paisley Ontario is to the Saugeen Bluffs Maple Syrup Festival. Join other breakfast connoisseurs and relish a wonderful pancake breakfast, enjoy a ride of the S.S. Trolley, and participate in a full day’s schedule of events. When birds eat from your hand at MacGregor Point Provincial Park, you begin to appreciate why the Huron Fringe Birding Festival is located here. Quite possibly the quietest festival you will ever experience, starting May 24-27th and May 30 till June 2 / 2019 this festival starts as early as 6 am and continues to 9 pm on many days. Just check out the schedule to discover what makes this an incredible festival like no other. Friday, June 19 to Sunday 21st this two-day MS Chi-Cheemaun Festival in Tobermory is much more than meets the eye. There are events for kids, a baseball tournament, golf competition, cardboard boat races, fireworks and much more…the whole town comes alive – Welcome to Summer on the Peninsula! If you are into gardening or appreciate our endangered species, then the Bruce Peninsula Orchid Festival will be a fantastic treat. The Bruce Peninsula is home to 42 native species of orchids making it one of the best orchid destinations in North America. Join an expert on a tour of an orchid destination by way of a boat or foot, participate in capturing nature through art such as photography or painting, hear a talk from biodiversity specialist, and more. Take a step back in time and gather in the Kincardine country side to enjoy the Scottish Festival and Highland Games. Just make sure you know what is where so that you are a safe distance from the heavy events and a fun distance from the music and dance. Have you got any soul? Take this rhetorical question as your call to marvel at the primitively soothing Lighthouse Blues Festival in Kincardine and help raise money for local charities. The festival offers entertainment across four stages plus much more like a motorcycle show, children’s activities, street market, and artist row. Kincardine comes alives! Set yourself adrift and patch your leaking soul at the Southampton Marine Heritage Festival. Celebrate the anniversary of the Chantry Island Lighthouse and housekeeper Cottage with the locals. The day is filled with family fun such as live entertainment, local fish fry and cardboard races for all. If every grain of sand was a word, then the tide of the Sauble Beach Sandfest would write dream like stories. Come witness the remarkable imagination of many sand artists through sand castles and creations of epic proportions. Then appreciate the live music, children’s activities, beautifully restored antique cars and more. Let the drumming, singing, dancing and colours free your spirit and connect you with the land, animals and sky. Come celebrate the rich Ojibway heritage at both the Nawash Pow Wow at Cape Croker and the Saugeen First Nation Pow Wow in the Southampton area. Take in the culinary delights, traditional crafts and an experience that you will remember forever. When your heart begins to twang this here spring, saddle up and mosey on down to Lucknow for best country music festival around, the Music in the Fields festival. Join 8,000 patrons and enjoy some of the best country music artists and the best up and coming artists that rock the Emerging Artists Stage. Polish those cowboy boots and get stompin. Fall Festival " Pumpkinfest "
The mighty pumpkin. Celebrated as a food, a canvas, an entertainer, a protagonist of stories of lore. Come to the Port Elgin Pumpkinfest to pay respect to the greatest of the multi-tasking fruits and vegetables. Giant vegetables, motorcycle and car show, music, and much more. There is something to do for the whole family from the petting zoo to the Pub-kin crawl.